The 2007–09 financial crisis has asked some very hard questions of modern macroeconomics, an important aspect of which has been to develop models that allow us to understand macroeconomic fluctuations using decision rules derived from microeconomic principles. The resulting prescriptions for monetary policy pay much more attention to the calculation of optimal feedback rules under uncertainty, learning and various forms of price and wage rigidity. 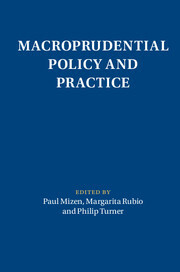 Titles in the series Macroeconomic Policy Making bring together leading macroeconomist researchers and central bank economists to analyse the tools and methods necessary to meet the challenges of the post-financial crisis world.